This login is only for Madforwater partners to access the private area. Sustainable water supply and sanitation is fundamental to the food security, health, survival, societal well-being and economic growth in Africa. Indeed, developing countries are particularly vulnerable to water-related problems, which are expected to be exacerbated in the future by climate change. In order to better tackle water-related challenges in Africa, the European Union launched in 2015 two dedicated Horizon 2020 calls: Water-5b-2015 “A coordination platform” and Water-5c-2015 “Development of water supply and sanitation technology, systems and tools, and/or methodologies”. − support to internationally agreed water-related goals, including in the context of the post-2015 development framework and Rio+20 follow up, by bridging the water and sanitation gaps. Africa is one of the regions most in need of innovative solutions for tackling water and climate change-related challenges; yet many parts of Africa are also suffering from the lack of water-related skills and capacity as well as wide-spread institutional fragmentation. 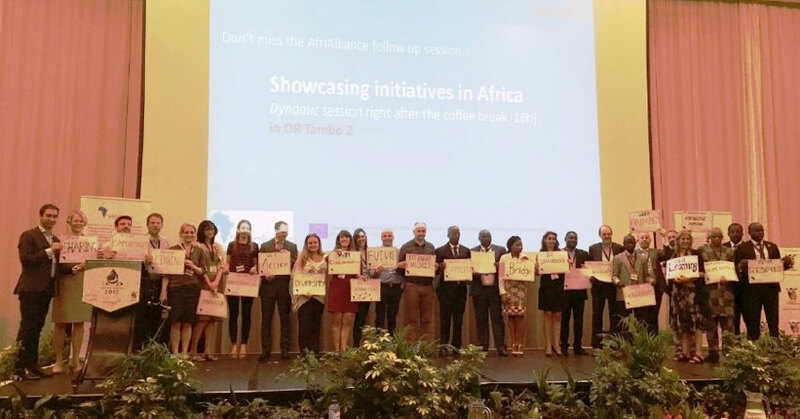 AfriAlliance aims to better prepare Africa for future climate change challenges by having African and European stakeholders work together in the areas of water innovation, research, policy, and capacity development. Rather than creating new networks, the partners in this project are consolidating existing ones, consisting of scientists, decision makers, practitioners, citizens and other key stakeholders, into an effective, problem-focused knowledge sharing mechanism. This is being coordinated by means of an innovation platform: the Africa-EU Innovation Alliance for Water and Climate, galvanising existing networks and institutions to facilitate knowledge exchange within Africa and between Africa and the EU. AfriAlliance is supporting the existing networks in identifying appropriate social innovation and technological solutions for key water and climate change challenges. It is capitalising on the knowledge and innovation base and potential in Africa and in the EU. 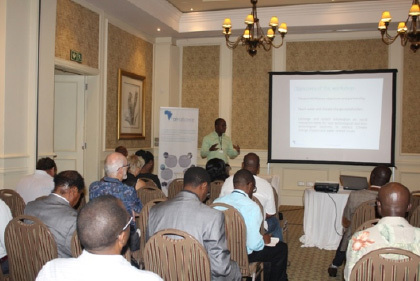 The project is supporting effective means of knowledge sharing and technology transfer within Africa and between Africa and the EU, all with the aim of increasing African preparedness to address the vulnerability of water and climate change-related challenges. 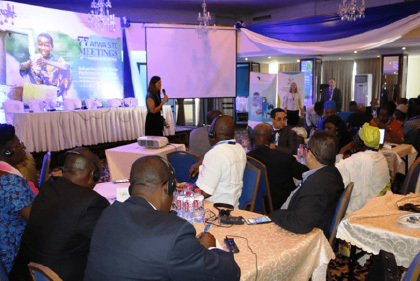 The consortium is composed of 16 African and European organisations. 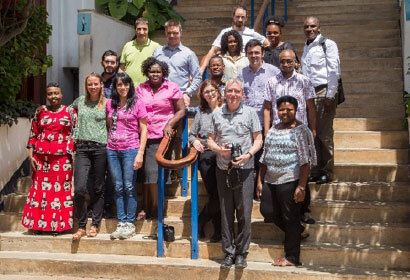 AfriAlliance is led by IHE Delft (Coordinator: Dr. Uta Wehn) and is running from 2016 to 2021. A Decision-Analytic Framework to explore the water-energy-food NExus in complex and transboundary water resources systems of fast growing developing countries. 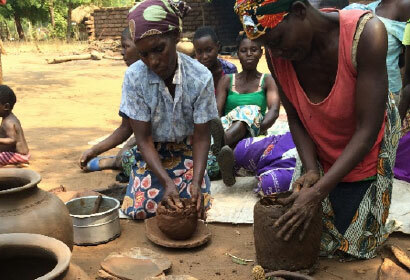 As part of the 7 Water for Africa projects the DAFNE project addresses the ongoing transformations in these regions by means of an integrated and participatory approach that can trigger change by promoting a shared learning of the risks and opportunities associated with these nexus-related challenges. The project combines excellence in research across a broad range of disciplines, from engineering and environmental sciences, to social science, economics and law. In particular, DAFNE strives for effective transboundary cooperation based on scientific evidence and clearly articulated laws and policies that promote fair and sustainable use of water resources. DAFNE will demonstrate the potential of this novel approach in two illustrative case studies, the Omo-Gibe-Turkana and Zambezi river basins. DAFNE will establish a decision-analytic framework (DAF) using a Participatory and Integrated Planning approach for analyzing the two basins from WEF nexus perspective. 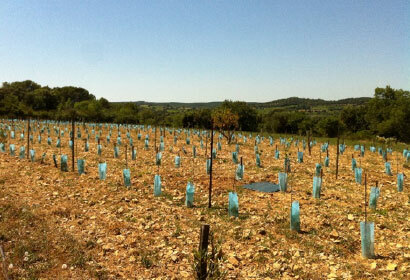 The DAF multi-step process will quantify the anticipated effects of alternative planning options. It will involve stakeholders from the basins in the process from the outset who will work together with project researchers, to gain a fuller understanding of the impacts of resource exploitation and identify pathways to sustainable development. 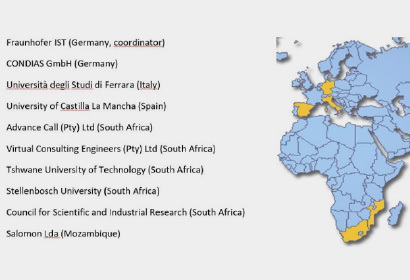 DAFNE consortium is made up of 14 partners from Switzerland, Ethiopia, Kenya, Mozambique, Zambia, Belgium, Italy, Germany, Greece and UK, and coordinated by Prof. Dr. Paolo Burlando from the Swiss Federal Institute of Technology (ETHZ). 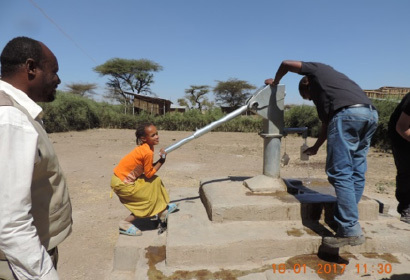 FLOWERED objective is to contribute to the development of a sustainable water management system in areas affected by fluoride contamination in water, soil and food in the African Rift Valley (Ethiopia, Kenya and Tanzania), thus to improve living standards of its population. 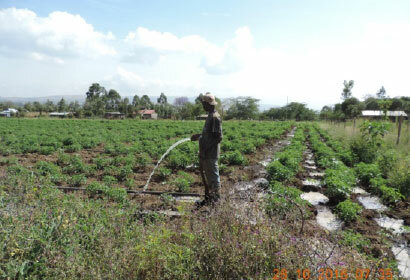 FLOWERED aims to study, test and implement innovative defluoridation technologies for drinking and irrigation water that will mainly operate at small village scale and to develop an integrated, sustainable and participative water and agriculture management at a cross-boundary catchment scale. The proposed scientific approach in FLOWERED is based on a detailed knowledge of the geological and hydrogeological setting that controls contamination of water that constitute the prerequisite for the implementation of a sustainable water management and for the proposal ofsustainable and suitable strategies for water sanitation and agricultural system. Innovative agricultural practices will be assessed, aiming to mitigate the impacts of F contamination of water and soil on productivity of selected food and forage crops and dairy cattle health and production. The development of an innovative and shared Geo-data system will support the integrated, sustainable and participative management system. FLOWERED, focusing on innovative technologies and practices and taking into account local experiences, will implement an integrated water and agriculture management system and will enable local communities to manage water resources, starting from using efficient defluoridation techniques and applying sustainable agricultural practices. The integrated approaches improve knowledge for EU partners, local researchers, farmers and decision makers. The Project through the involvement of SMEs will strengthen the development co-innovative demonstration processes as well as new market opportunities. FLOWERED consortium coordinated by the University of Cagliari (UNICA) is composed by eight institutions legally established in the European Union, and belonging to three different Member States (five research institute and three SMEs). 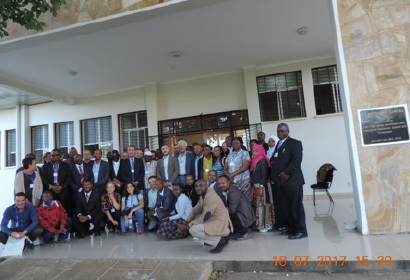 In addition to the European partners, six partners from International Cooperation Partner Countries (ICPC) in Africa (three research institutes, one SME, one international organization, and one NGO) are members of the consortium. The objective of MADFORWATER is to develop an integrated set of technological and management instruments for the enhancement of wastewater treatment, treated wastewater reuse for irrigation and water efficiency in agriculture, with the final aim to reduce water vulnerability in selected basins in Egypt, Morocco and Tunisia. In terms of approach, MADFORWATER develops and adapts to three main hydrological basins in the target countries technologies for the production of irrigation-quality water from drainage canals, municipal, agro-industrial and industrial wastewaters, and technologies for water efficiency and reuse in agriculture, initially validated at laboratory scale. 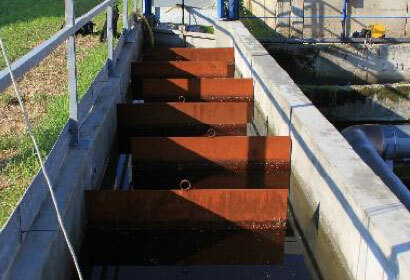 Selected technologies are further adapted and validated in four field pilot plants of integrated wastewater treatment and reuse. Integrated strategies for wastewater treatment and reuse targeted to the selected basins are developed, considering climate change, population increase and economic growth scenarios. 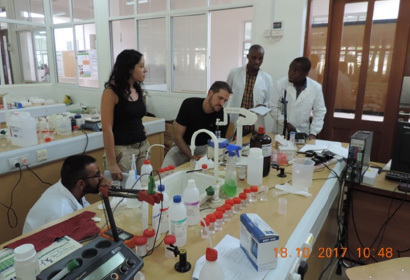 The project also develops innovative tools for the identification and quantification of water vulnerabilities in the target countries. MADFORWATER is expected to lead in the selected basins to a significant increase in wastewater treatment and treated wastewater reuse, and to an overall decrease in water stress. The project is coordinated by the University of Bologna (coordinator: Dr. Dario Frascari; co-coordinator: Dr. Giulio Zanaroli). 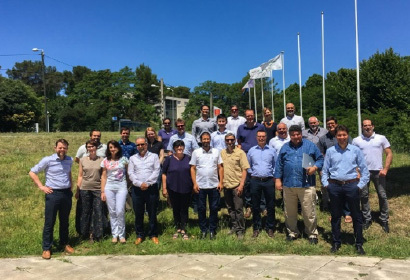 The consortium consists of 18 partners geographically distributed mainly around the Mediterranean: 12 partners from European countries, 5 from North Africa and 1 from China. 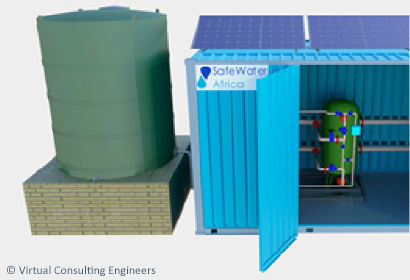 The overall goal of the SafeWaterAfrica project is to develop, introduce and apply a new and “Made in Africa” autonomous water purification system with an adapted and integrated European low energy water treatment technology based on chemical-free electrochemical degradation of organic and microbial contaminants. 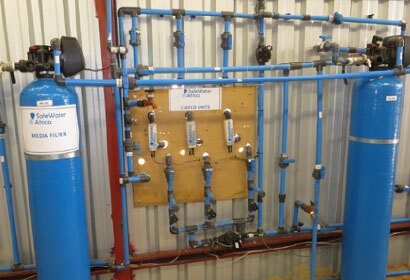 The system is designed to provide 300 people in rural areas with safe water. Two demonstrator systems with off-grid power supply and remote monitoring will be operated at rural test sites in Mozambique and South Africa. 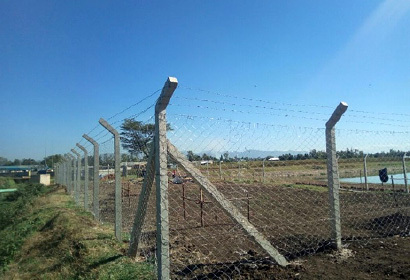 The project includes capacity building and business development so that system ownership and responsibility are in the hands of the local rural communities. The joint African-European development will result in a low-cost solution easy to handle and operate. It takes into account the specific cultural aspects of the region and will be designed for operation with local staff and in the responsibility of local communities or local water service providers, respectively. The consortium includes six African and four European partners of which four are universities, four SMEs and two research organisations. Coordinator is the Fraunhofer Institute for Surface Engineering and Thin Films IST in Germany. VicInAqua follows an integrated approach in order to develop a sustainable combined sanitation and recirculating aquaculture system (RAS) for wastewater treatment and reuse in agriculture in the Victoria Lake Basin area. 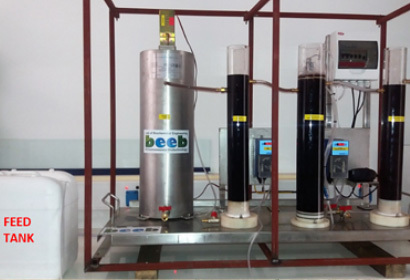 The core of the project concept is to develop and test a novel self-cleaning water filters which consist of a highly efficient particle filter as well as a membrane bioreactor (MBR) as principal treatment unit within a combined treatment system where the nutrient rich effluent water will be used for agricultural irrigation. The surplus sludge from both filter systems will be co-digested with agricultural waste to produce biogas. It will be semi-autonomously powered by renewable energies (PV, biogas). The RAS will produce high quality fingerlings of the local fish species to supply the pond aquaculture of the area with stocking material. The project is coordinated by the University of Applied Sciences Karlsruhe. 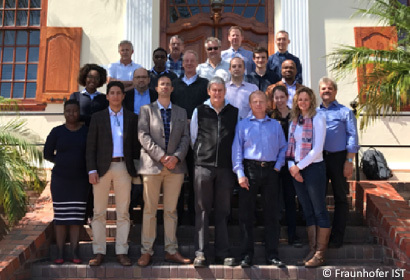 In total eleven partners from 7 countries (Germany, Italy, Denmark, Malta, Kenya, Tanzania and Uganda) join their forces to achieve VicInAqua’s objectives. 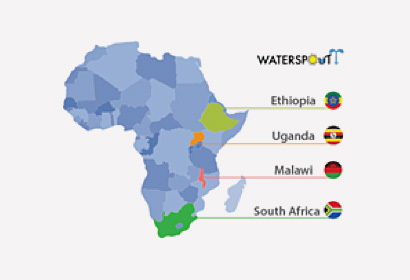 As part of the 7 Water for Africa Projects the aim of WATERSPOUTT is transform access to safe drinking water through integrated social sciences, education & solar technologies, thus improving health, survival, societal well-being & economic growth in low-to-middle-income African nations. These goals will be achieved by developing solar-optical, point-of-use water treatment technologies for vulnerable communities who remain without access to safe drinking water in Africa. HARVESTED RAINWATER SOLAR REACTOR SYSTEMS for domestic and community use. (South Africa, Uganda). 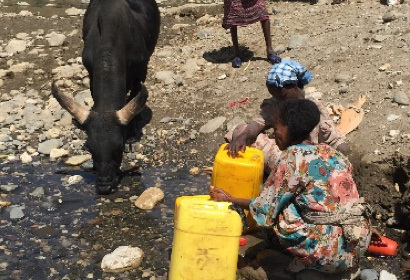 Typical water source in Northern Ethiopia where field-trials of the WATERSPOUTT 20L transparent jerrycans will take place. 01 Jun 2018 Deuxième bulletin d’information publié! 31 May 2018 Second project newsletter is out! 31 May 2018 New Article on MADFORWATER! This project has received funding from the European Union’s Horizon 2020 Research and Innovation program under Grant Agreement n° 688320.